"I was at a point where I thought, 'I can't exist like this. I can't actually live.'" 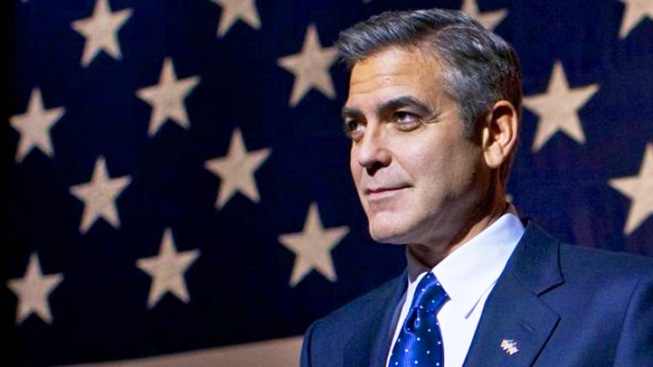 George Clooney has seemingly been living the dream for two decades, but a nightmarish accident in 2005 nearly drove him to suicide. It was while filming "Syriana," for which he would win a Best Supporting Actor Oscar, that Clooney hurt his back doing a stunt that went awry. The subsequent pain was so intense, he seriously considered the ultimate solution. "I was at a point where I thought, 'I can't exist like this. I can't actually live,'" Clooney told Rolling Stone in an interview for an upcoming cover story. "I was lying in a hospital bed with an IV in my arm, unable to move, having these headaches where it feels like you're having a stroke, and for a short three-week period, I started to think, 'I may have to do something drastic about this' ... but I never thought I'd get there," he explained. "See, I was in a place where I was trying to figure out how to survive." It got to the point where he planned how he would take his own life, but luckily he had second thoughts. He then turned to alcohol to dull the pain. He's since had surgery which has relieved most of the discomfort, though he still suffers from occasional headaches related to the accident.